Kids these days with their measly Throwback Thursday pictures from 2 years ago. “BAH!” I say. The date on the back of the photo says September 1979, so it was probably August. (Back in my day, film was sent away to be processed when the roll was finished. Rolls of film usually covered a few months. 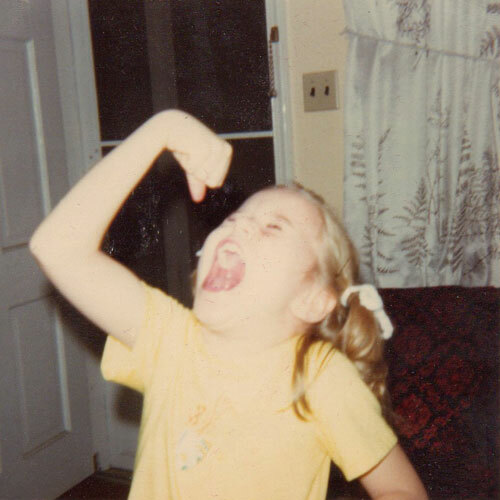 I was close to 7 years old and emulating Bowzer from Sha Na Na. John wasn’t born yet so I was still the center of the known universe. Item of note: the crocheted hair ties that were everywhere in the 70s and early 80s. Adorable. But curse you: I’m going to have “do-do-do-do-do…good night sweetheart well it’s time to go…” stuck in my head all morning.